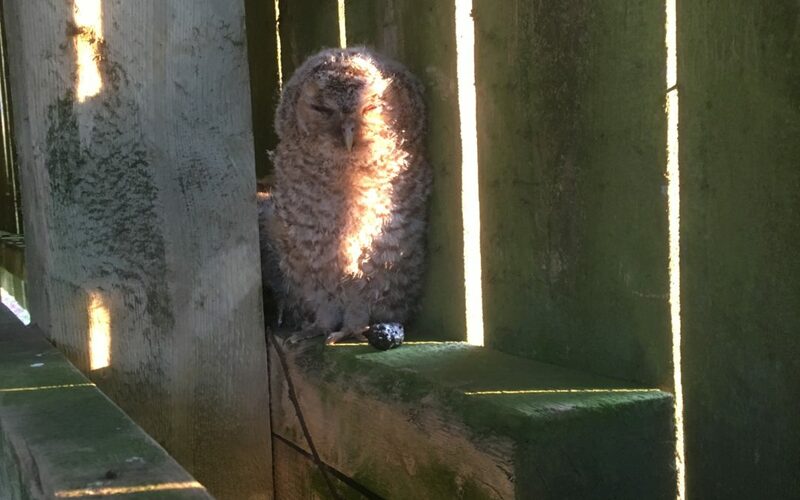 We have been lucky enough to have three Tawny owlets born in the owl box in the barn. The guests and ourselves have enjoyed watching them fledge. They spent 10 days fluttering around in the barn before they could fly well enough to leave and perch in nearby trees. Each evening they return to be fed by mum who can be seen landing on the roof with their food.